Nait Babies Blog: NAIT visit's the D-F's! 11/01/2012 - NAIT joins the D-F family in Lichfield. Here he is with Baby Tabitha (15 wks), big Sister Gabi (5) & biggest sister Izzi (7). NAIT was excited to hear from the girls all of the places that he will be visiting this week to tell them about the condition that Tabitha was born with and to raise awareness. NAIT went with Tabitha to a local Baby & Toddler group today. He had lots of fun playing with all of the toys and meeting the children. All of the grown ups listened to Tabitha's story. 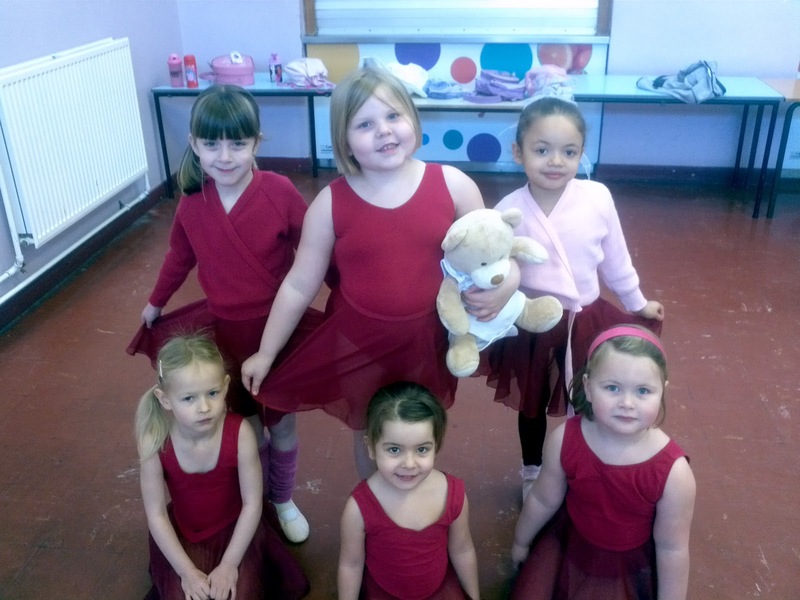 Every Saturday Izzi & Gabi go to dancing lessons, here is NAIT bear with Gabi and the other ballerinas. Tabitha & Mummy wait outside with the other Mummy's, have a coffee and natter - this was the perfect opportunity to tell them about NAIT. Tabitha & Mummy went to Jo Jingles today. NAIT loved singing all of the songs & he took the opportunity to chat to all of the Mummy's there. NAIT tagged along to Baby Sensory today, he loved singing the 'hello' song! NAIT has had a fantastic time with the D-F's. He has visited lots of places and told them about the condition that Tabitha had. Lots more Mummy's in Lichfield now know about NAIT! 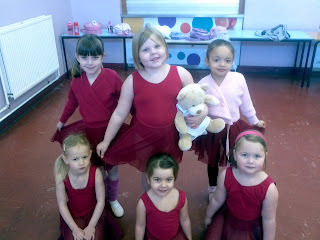 lovely pictures, im sure naitbear is being totally spoilt,, did he manage to point his toes properly in ballet lesson? Ohhh what pretty ballerinas. The picture of Tabitha and Nait is just toooo cute! Looks like he a wonderful time has met many people. I bet he is getting a fair share of hugs from those beautiful girls.